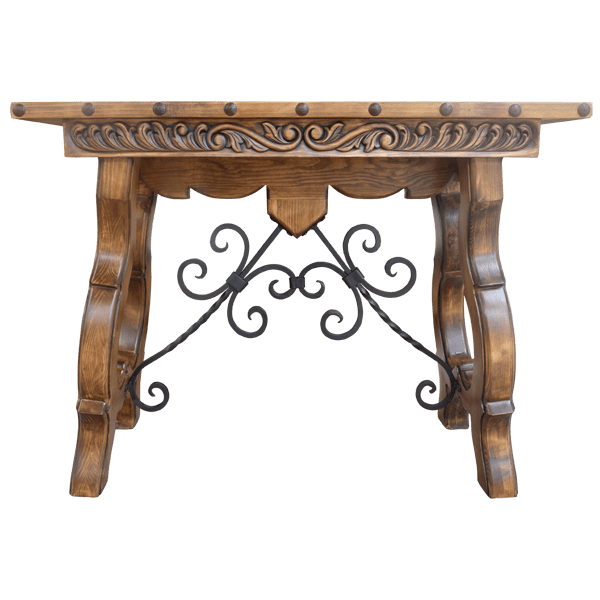 This handcrafted, Spanish colonial style credenza is perfect for the living room or an entryway, and its innovative design will provide a graceful appearance to your home décor. Intermittently placed on the top rim of the open, wide top are hand forged, iron nails. 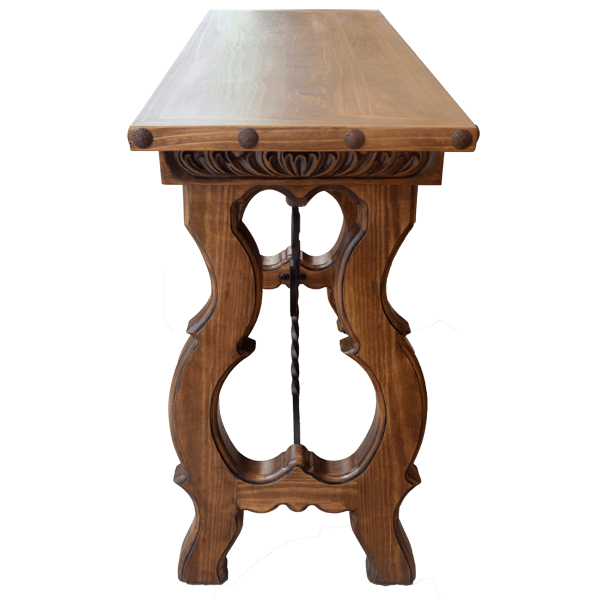 The top rest on a solid wood base, and the base is adorned with magnificent, hand carved, floral and scroll designs. Centered directly under the base is an inverted, Spanish colonial style crest. 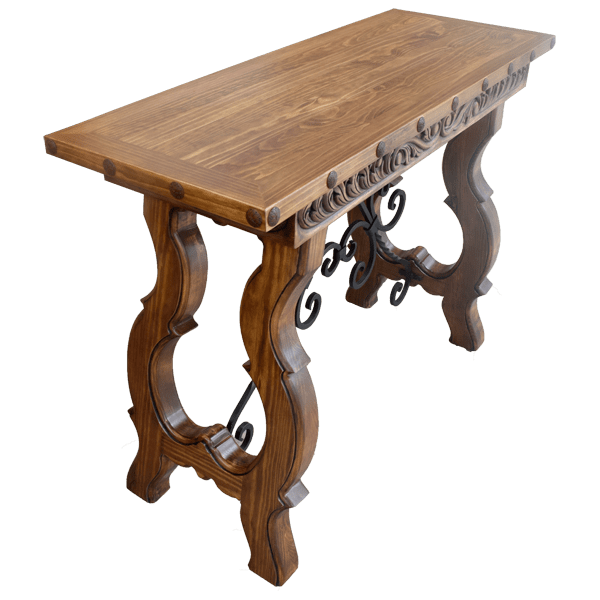 The top is supported by curved, cabriole style legs with thorn like details, and the legs are joined by beautiful, curved, hand forged, iron crossbars. It is 100% customizable.